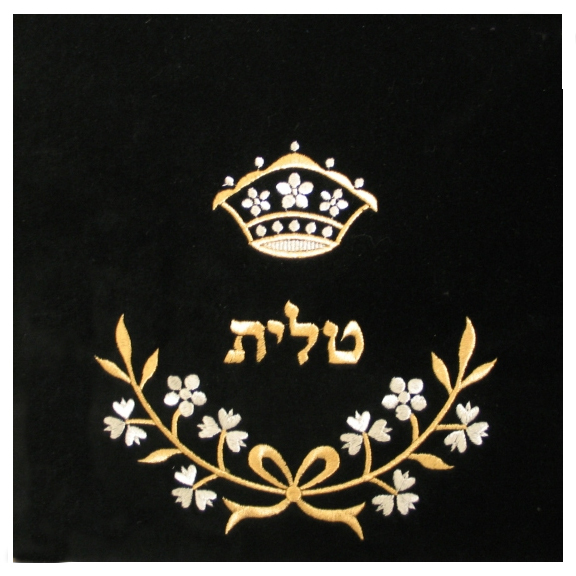 This velvet tallis/tefillin bag is embroidered with metallic gold and silver colored thread in a classy design. Branches full with flowers with a bow in its center form a semi-circle in an upward direction. Depending what size/style is selected, the Hebrew word “tallit” or “tefillin” is embroidered above the design. A crown adorns the top of the bag completing the regal look.